NASHVILLE, Tenn – Nineteenth century legendary London pastor Charles Spurgeon was a publishing and preaching juggernaut. He preached to more than 10 million people, baptized more than 14,000 converts, and sold more than 50 million copies of his sermons. Spurgeon’s fans nicknamed him “the Prince of Preachers” and flocked to hear him. All told, more than 3,500 Spurgeon sermons were eventually published, but none date from his early ministry, said Spurgeon scholar Christian George. Nashville-based B&H Publishing will release The Lost Sermons of Charles Spurgeon, a multi-volume edition of early Spurgeon sermons and sermon outlines. 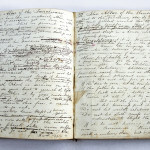 The collection of over 400 sermons and outlines dates from Spurgeon’s days as a young pastor outside of Cambridge. The son of a minister, Spurgeon came to faith in 1850 during a service at a Primitive Methodist Church. That encounter with God set him on a path to become one of the most prolific preachers in the English language. “It is sometimes overlooked that Charles Spurgeon published more words in the English language than any other Christian in history,” said George, curator of the Spurgeon library at Midwestern Baptist Theological Seminary in Kansas City. Spurgeon began preaching not long after his conversion. At 17, he became pastor of a Baptist church in Waterbeach, not far from Cambridge. He kept his sermon outlines – which he called “skeletons” – along with some full-text sermons in a series of handwritten journals. 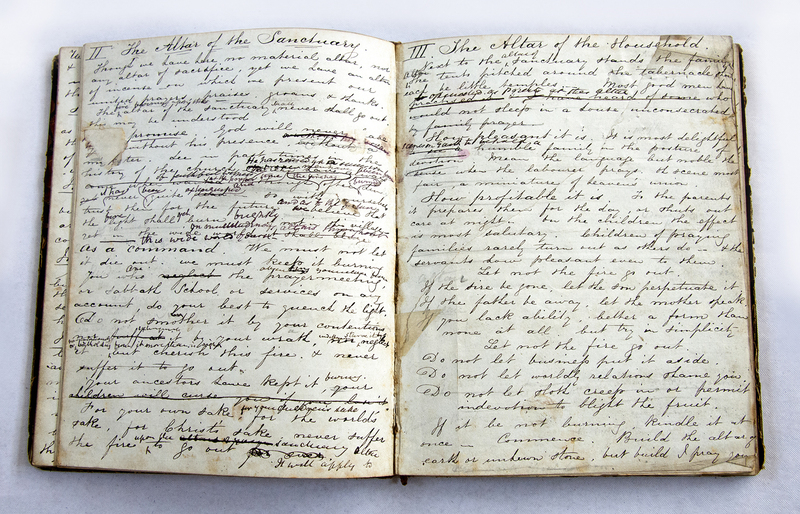 The first of the 13 newly-discovered journals is dated October 1849, a few months before Spurgeon’s conversion. The last is dated from 1854, right before he became pastor of the New Park Street Chapel in London. 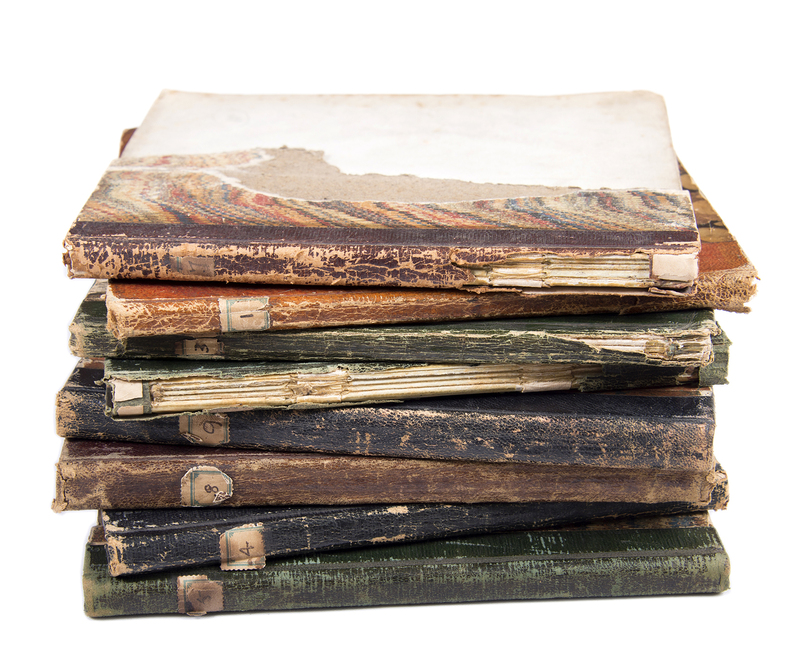 The journals reveal how Spurgeon developed his theology as well as his skill in preaching. “They give us a rare and remarkable glimpse into Spurgeon’s pre-London life and ministry,” George said. 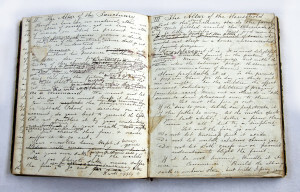 Some of the journals show Spurgeon’s spiritual struggles. Many of the sermons end with simple and sometimes blunt prayers. After becoming a pastor in London, Spurgeon had planned to publish those early sermons. But that never came to pass. 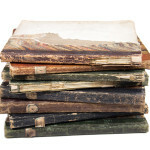 They were stored in the archives of Spurgeon’s College in London, and forgotten. George discovered the journals three years ago, while doing research at the college. A librarian there brought him a stack of Spurgeon’s journals to look through. The multi-volume set from B&H Academic will include sermons from those journals, along with critical commentary on them from George. It will be the first critical edition of Spurgeon’s work ever to be published, according to George. Most other works about Spurgeon either reprint his sermons without analysis, or only focus on his “celebrity-like reputation, uncanny oratorical abilities, and worldwide influence,” said George. That leaves many people with a one-dimensional view of the great preacher. George hopes this new edition of early Spurgeon sermons will lead to more scholarly interest in the great preacher. Pastors, he said, will also benefit from these early sermons. “He models for us an unwavering commitment to Christ-centered preaching, fervent prayer and discipleship, local and world evangelism, and incarnational urban ministries,” George said. Baird said the new books will be published next year. Digital versions will be available exclusively through WORDsearch. Nashville-based B&H Publishing will release The Lost Sermons of Charles Spurgeon, a multi-volume edition of early London pastor Charles Spurgeon’s sermons and sermon outlines. The first of the 13 newly-discovered journals is dated October 1849, a few months before London pastor Charles Spurgeon’s conversion. The last is dated from 1854, right before he became pastor of the New Park Street Chapel in London. 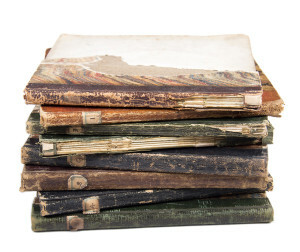 The journals reveal how Spurgeon developed his theology as well as his skill in preaching. 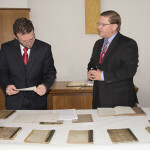 (Left) Spurgeon scholar Christian George and Jim Baird, publisher of B&H Academic, review 19th century legendary London pastor Charles Spurgeon’s newly-discovered journals. 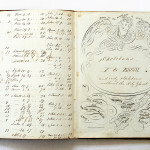 A drawing from 19th century legendary London pastor Charles Spurgeon’s newly-discovered journals.